McClellan, George B. The Civil War Papers of George B. McClellan. Ed. Stephen W. Sears. New York: Ticknor & Fields, 1989. “but thousands of thieving poltroons had kept away from sheer cowardice. The straggler is generally a thief and always a coward, lost to all sense of shame; he can only be kept in ranks by a strict and sanguinary discipline. Polley of the Texas Brigade complains of the chill of the Potomac River as he crossed it. While passing through Middletown MD, Jackson’s response to two young girls who waved American flags at Stonewall. From R.E. Lee A Biography by Douglas Southall Freeman. New York Scribners, 1934. Cheek, Philip and Mair Pointon. 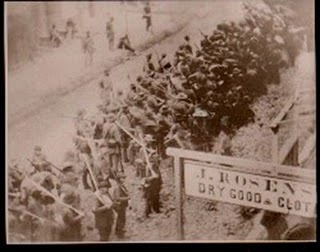 History of the Sauk County Riflemen, Known As Company “A”, Sixth Wisconsin Veteran Volunteer Infantry, 1861-1865. Gaithersburg: Butternut Press, 1909. Abraham Lincoln alluding to the lack of Northern appreciation of the Federal triumphs in the West in the spring and summer of 1862. Ford, Andrew E. The Story of the Fifteenth Regiment, Massachusetts Volunteer Infantry in the Civil War, 1861-1865. Clinton MA: Press of W.J. Coulter, 1898. RG 98, Office of the Chief Signal Officer, Telegrams of the Army of the Potomac, NA. 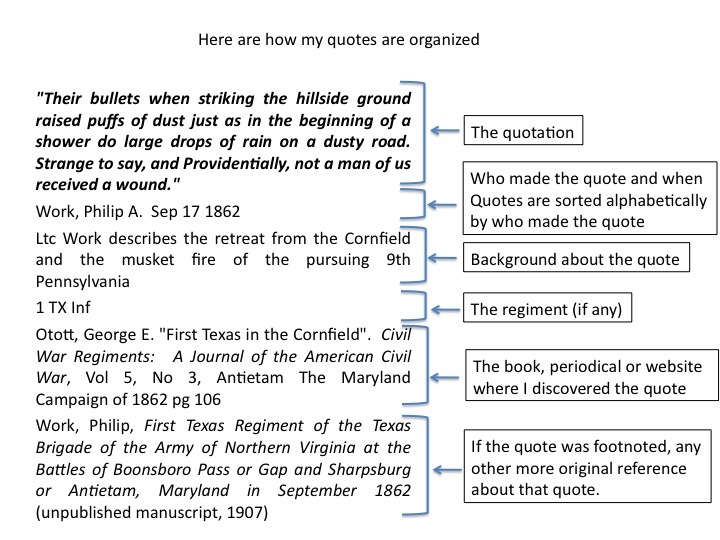 Wainwright describing the march over Catoctin Mt near Jefferson. Palfrey, Francis Winthrop. The Antietam and Fredericksburg. Vol 5, Campaigns of the Civil War. New York: Charles Scribner’s Sons, 1882. Hitchcock, Frederick L. War from the Inside: The Story of the 132nd Regiment Pennsylvania Volunteer Infantry in the War for the Supression of the Rebellion, 1862-1863. Philadaelphia: J.B. Lippincott, 1904; reprint, Alexandria: Time-Life Books, 1985. Bruce, George A. The Twentieth Regiment of Massachusetts Volunteer Infantry 1861-1865. Boston: Houghton , Mifflin and Company, 1906. “All evidence that has been accumulated from various sources since we left Washington goes to prove most conclusively that almost the entire rebel army in Virginia, amounting to not less than 120,000 men, is in the vicinity of Frederick City. “Had Gen. Lee remained in front of Washington it would have been the part of wisdom to hold our army quiet until its pressing wants were fully supplied, its organization restored, and its ranks filled with recruits….But as the enemy maintained the offensive…it became necessary to meet him at any cost…and throw him back across the Potomac….It must be borne constantly in mind that the purpose of advancing from Washington was simply to meet the necessities of the moment by frustrating Lee’s invasion of the Northern States, and when that was accomplished, to push with the utmost rapidity the work of reorganization and supply…. Rafuse, Ethan S. McClellan’s War: The Failure of Moderation in the Struggle for the Union. Bloomington IN: Indiana University Press, 2005. Keiser, Henrym Ayg 31 1862, Sergeants Diary, Sep 23 1861-July 20 1865, Harrisburg CWRT Collection. United States Army Heritage Education Center, Carlisle, PA.
Child, William. A History of the Fifth Regiment, New Hampshire Volunteers in the American Civil War, 1861-1865. Bristol, NH: R.W. Musgrove, Printer, 1893. Reprint, Gaithersburg, MD: Ron R. Van Sickle Military Books, 1988. Adams, John G.B. Reminiscences of the Nineteenth Massachusetts Regiment. Boston: Wright & Potter Pringint Company, 1899. Rhodes, John H. The History of Battery B, First Regiment Rhode Island Light Artillery in the War to Preserve the Union, 1861-1865. Providence: Snow and Farnham, Printers, 1904. Sedgwick, John, Correspondence of John Sedgwick, Major-General, 2 vols. New York: De Vinne Press, Printed for Carl and Ellen Battle Stoeckel, 1902-1903. Favill, Josiah M. The Diary of a Young Officer Serving in the Armies of the United States during the War of the Rebellion. Chigago: Donnelley, 1909. Cottom, Robert L. and Mary Ellen Hayward. Maryland in te Civil War-A House Divided. Baltimore: Johns Hopkins University Press, 1994. Thomas Aldrich of Tompkins Battery describes the entry into Frederick. Aldrich, Thomas M. The History of Battery A, First Regiment Rhode Island Light Artillery in the War to Preserve the Union, 1861-1865. Providence: Snow and Farnham, Printers, 1904. Osborne, William A. The History of the Twenty-Ninth Regiment of Massachusetts Volunteer Infantry in the late War of the Rebellion. Boston: Albert J. Wright, 1877. Thanks very much for all this work! Looks like this quote is in OR, vol. 19, pt. 2, 600-601. Larry, I am glad you enjoy it. It is an avocation that I truly enjoy.